1. It doesn’t matter. The time I spent digging the books, studying them, mediating on them was a time well spent. The Word of the Lord doesn’t return void. Never. 2. I need to review more and more what I have already memorized because I really want to be able to recite those books fluently next time I see my sister. 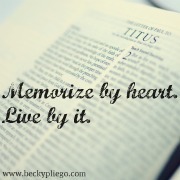 Elizabeth and I are now ready to start a new memory project this year: the book of Titus, and we would love it if you decide to join us. 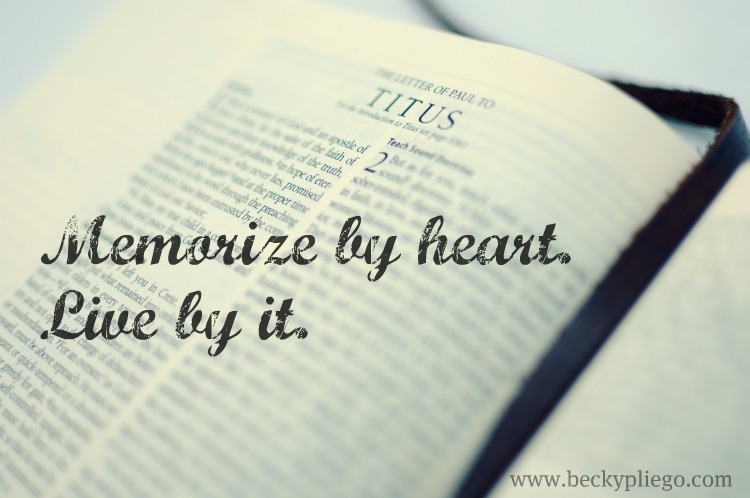 We think we should be able to memorize Titus by paragraphs (5-7 verses), however, there are a couple of paragraphs that will probably need to be divided into two sections. We are thinking that we can do it in nine weeks, which would have us finishing up around Easter Sunday. We will start on the Lord’s Day, February 5, and God willing we’ll finish on Easter Sunday, April 8. Sometime soon we’ll be sharing a PDF for you to carry in your purse, car, pocket, etc. or maybe you want to cut it and paste it on a Moleskine. 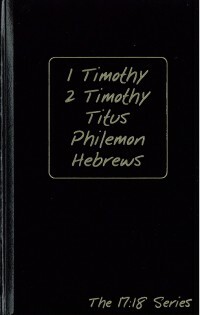 If you want to join us I would really recommend you to get a good Bible commentary on Titus and a journal. 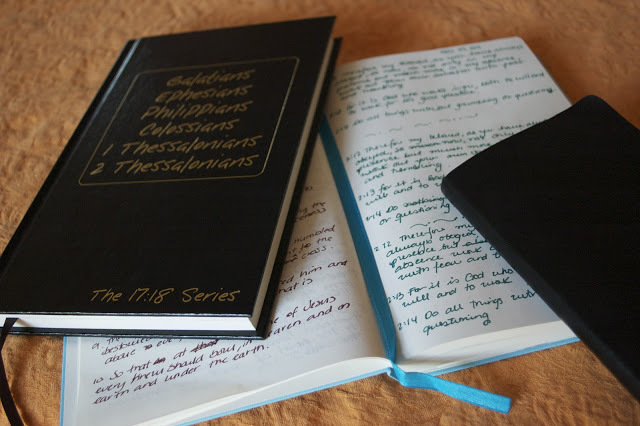 Each week copy the weekly verses and jot down your notes from the commentary you are studying. This is one of my favorite parts of these memory projects. This photo shows my copy book (where I also jotted down the notes from the commentary I used), my journible and memory Moleskine that I used when memorizing Philippians. John Piper has a few sermons on Titus. John MacArthur’s sermons are found here. C.H. Spurgeon’s sermons are available here. Have a most blessed day, my friends! Oh wait! I almost forgot to tell you about these beautiful -and free- printables that Melissa has made for you! I am doing this now! Hi, I'm also going to try to follow along! Looking forward to Titus. Jessica, I am sure that will help you! I'm interested in taking this challenge. Could you please tell me what version you will be using for your memorization? Thank you! My first thought was “I'd like to, but no”, since I will be having a baby at the same time. But, I will try. I think it will be a good way to make sure I'm not neglecting God's Word during those difficult newborn days.